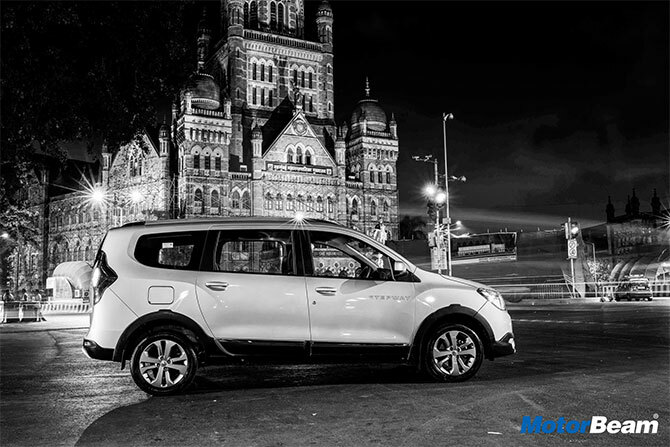 Since the beginning of its sales in India, French MPV Renault Lodgy has always faced stiff competition from Toyota Innova as the ultimate people's mover. Now it's 2017 and the Innova has moved up-market and is sufficiently expensive, leaving the field wide open for the Lodgy to come and take over. 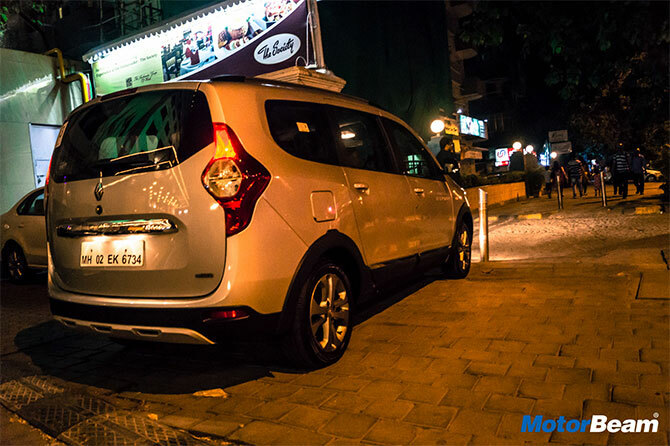 To test out whether it has that capability, the gearheads at MotorBeam decided to review the boxy vehicle in the urban jungle of Mumbai. The car we used for our review was the Stepway trim level, with some premium enhancements both inside as well as outside slapped-on by Renault. The car is unashamedly boxy shaped and it uses this as an advantage to its fullest. Available on the RxZ and RxZ spec, the Stepway trim gets some additional chrome bits on the body, chrome accented grille and 8-spoke alloy wheels. The Stepway trim manages to look better than the regular Lodgy. 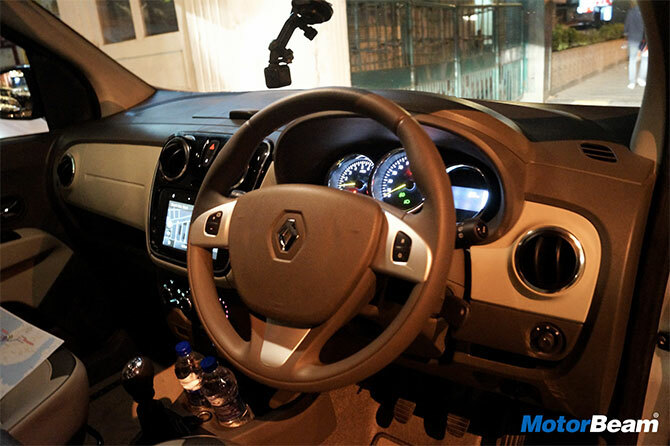 Being an MPV, the interiors of the car is a very important factor. You get features like AC vents for all rows, a touch-screen infotainment system with inbuilt navigation (very useful for those inevitable long trips), reverse parking camera, 12V charging socket in all rows, and remote lock/unlock. The AC does a good job of cooling the rather large cabin while the audio system sounds decent. The Lodgy Stepway is offered in 7-seater as well as 8-seater versions. Since the driver’s seat is 8-way adjustable, we found a perfect driving position very quickly. Just like its rivals, captain seats in the 7-seater variants are God-sent as a very comfortable place to be in. 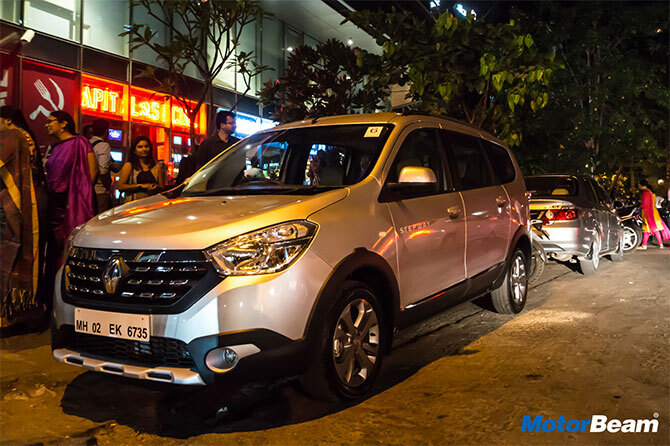 The Renault Lodgy Stepway is offered in RxL and RxZ trims. Both the trims are offered with the 85 PS and 110 PS engine tunes. The 85 PS tune gets a 5-speed manual gearbox while the higher tune gets a 6-speed manual transmission. Our test car was a 7-seater RxZ 110. 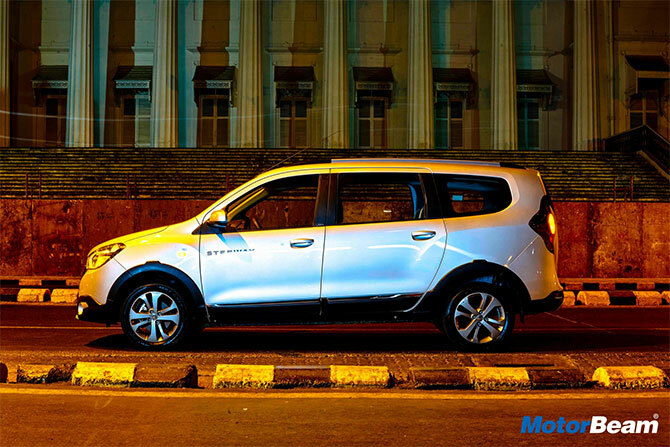 The Lodgy is based on the same platform as the Duster and it is known to be pretty robust and durable. The steering feels pretty light at city speeds and it continuously gives good feedback. Manoeuvring the Lodgy isn’t that cumbersome once you get used to its length. On highway speeds, we felt that the engine is really well tuned and Renault has done a good job of reducing the effect of the turbo lag. The oil-burner feels punchy 2000 RPM onwards and there is grunt till 4000 RPM. For this faithful highway warrior, we can easily say that the Lodgy can effortlessly munch miles for hours without any fuss. At the same time, fuel efficiency is claimed to hover around 19.98 km/l, and ideally, should give you 13-14 km/l under mixed driving conditions. The suspension is extremely well tuned like a traditional mature European car and hence the ride is fantastic. Even the handling characteristics are good by MPV standards. In fact, the Lodgy is one of those few MPVs which doesn’t drive like one, owing to its Duster underpinnings. The brakes are again pretty decent and there shouldn’t be a reason to complain on that front as well. European manufacturers are known to garner top marks on the safety front, and here too the Lodgy Stepway comes equipped with dual front airbags, ABS with EBD, and cruise control with speed limiter. An area where Renault lacks behind is the dealership network. The automaker has few showrooms and service centres in even major cities and that is a major negative. 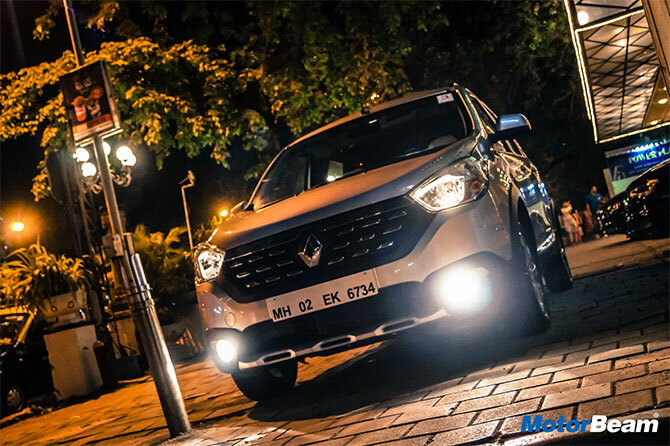 However, looking at the insane success which the Kwid has earned, Renault is definitely expanding its reach as well as its brand recall value across the country. The Renault Lodgy is one of the most under-rated cars in the mass-market segment. It is a perfect combination of reasonable pricing, excellent practicality, comfort and drivability. 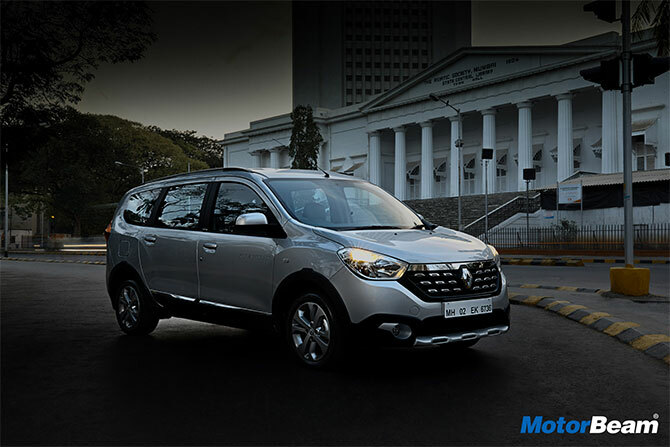 Renault is now targeting private buyers with the launch of the Stepway variant, giving the Lodgy a premium touch and making it one of the stronger offerings in the MPV segment.